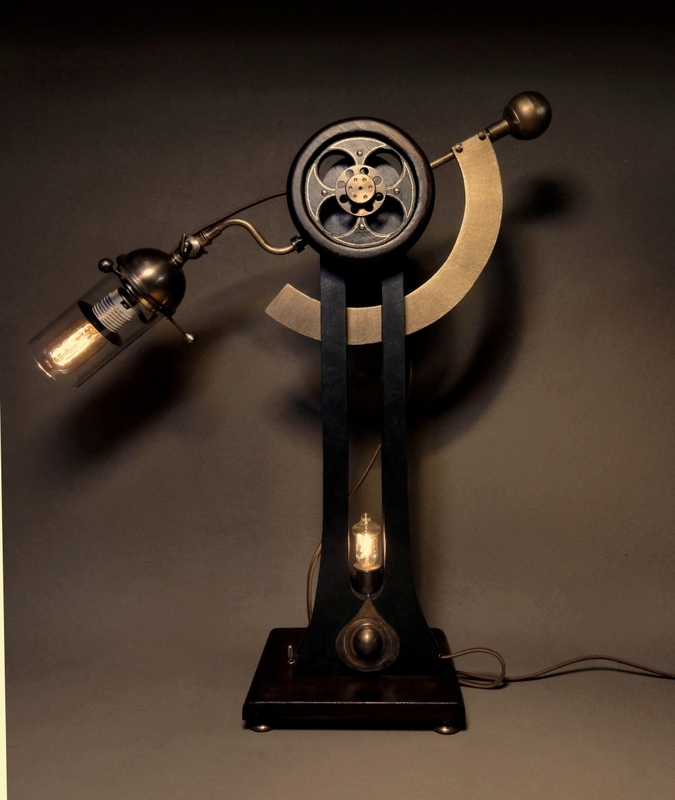 Our most popular Steampunk table lamp- Iconic and the first of it's kind. Entirely hand carved mahogany and poplar with no re-claimed components. Adjustable dual-light.